Team Type 1–Sanofi has been boosted by the additions of Daniele Colli and the young Austrian Georg Preidler to its line up for next year. 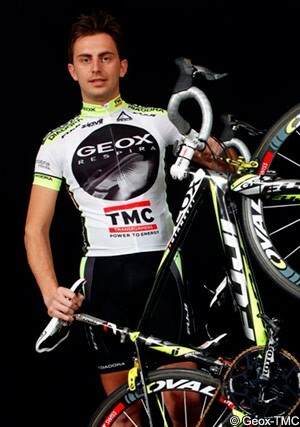 Colli who rides for Geox-TMC has overcome a difficult year after suffering from a tumor to his knee. He faced the risk of losing his leg to amputation but made a miraculous recovery and returned to racing in June. Since his return, he has racked up a number of top ten placings, coming closest to victory in the Brixia Tour when he finished second on two stages. He also finished in the top ten of no less than four Tour of Denmark stages while a respectable eight place finish in the recent Paris-Bruxelles over 219.5 kilometres shows that he is back to full strength. “The type of experience Colli brings to us is very exciting,” said General Manager Vassili Davidenko. “We look forward to putting him into the team for that extra strength and finesse that is needed to get onto the podium. He is a finisher of the highest calibre. The lesser known Preidler will be making his professional debut with the American Pro Continental team next year. The 21 year old finished seventh overall in the prestigious Tour de l'Avenir and won both the Toscana-Coppa delle Nazioni and GP Palio del Recioto while beating Salvatore Puccio who has signed a contract with Team Sky for next year. The team also announced the return of three riders on its current roster that has renewed their contracts. They are Laszlo Bodrogi, Aldo Ino Ilesic and Alex Bowden, who lives with type 1 diabetes. “Laszlo is stronger at the end of a tough year than he has ever been, and his nomination to the French TT squad for Copenhagen is a reflection of his hard work, his professionalism and his leadership. We are very happy to have him and Aldo return to us next season, and to share their knowledge with our 2012 team,” Davidenko said. Bodrogi took part in the world individual time trial championships yesterday for his adoptive nation France, where he finished in 22 position.